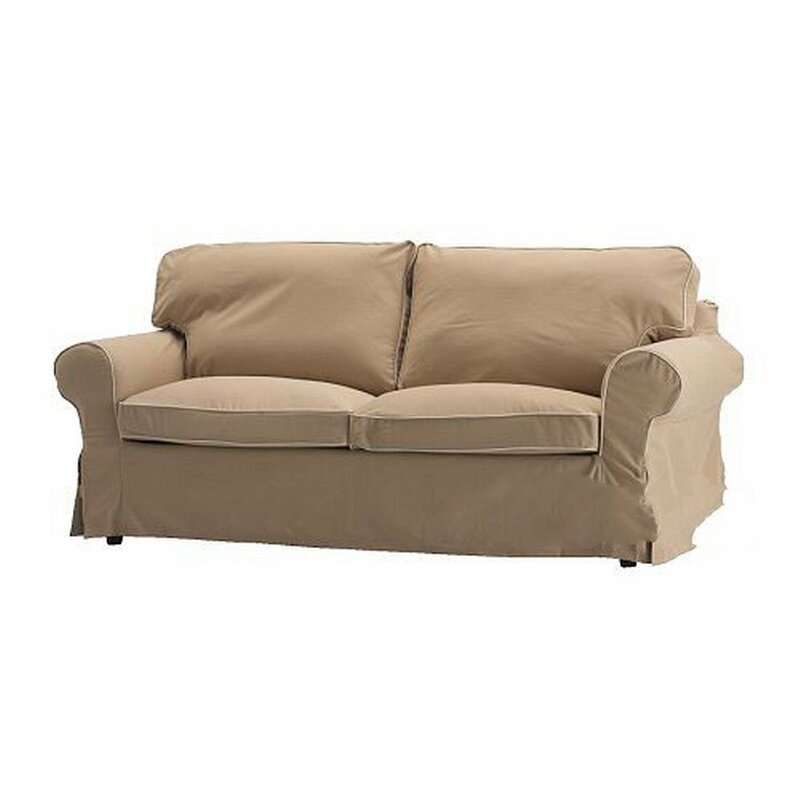 BRAND NEW, in original IKEA packaging, IDEMO BEIGE slip cover designed to fit the EKTORP 2 seat loveseat sofa from IKEA of Sweden. Lovely, versatlie warm beige, with slightly contrasting lighter piping. This listing is for a SLIPCOVER only, NOT for a loveseat. BEAUTIFUL cover! 100% heavy upholstery cotton. Machine washable, or dryclean. Very nice quality.